More and more, the advance of enterprise computing and cloud technologies means that managers are responsible for retrieving data ad-hoc and constructing business reports for decision-making and storytelling. The technical competencies necessary for such tasks can be daunting, and most database teaching methods do little to mitigate the confusion. 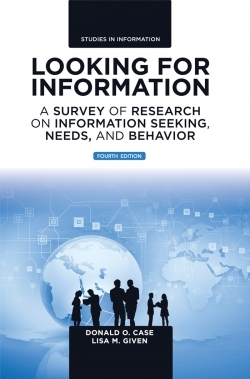 They tend to follow traditional computer science methods that expose all computational and matrix theory complexities as well as various design theories, and in so doing, they present an excess of information that unnecessarily complicates the learning process for business-minded readers. Zygiaris simplifies his teaching method in order to provide an accessible walkthrough of all technological advances of databases in the business environment. Readers learn how to design, develop, and use databases to provide business analytical reports with the three major database management systems: Microsoft Access, Oracle Express and MariaDB (formerly MySQL). This is all delivered through clearly structured, streamlined chapters, all of which link to online videos that demonstrate visually, in step-by-step tutorials, how to implement the processes outlined in the book. All of these features help the non-IT student or manager to understand the importance of databases in the business environment and to learn how to use those databases to solve real-world problems. 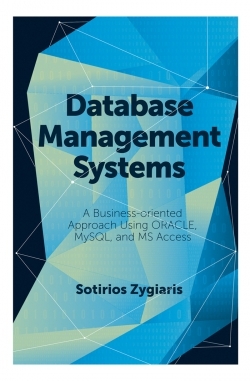 This book is of particular interest to students of management and to business managers, and it is of keen interest to anyone who works with major business database systems. Sotirios Zygiaris is a management professional and an expert in e-commerce and business intelligence applications. He had six years’ IT experience working for Fina Oil and Chemical; he worked as a lecturer at the University of Sheffield teaching computer science courses; and he had twelve years’ experience managing European Union multinational research projects in technological innovation and industrial research and development. He is a European Union international expert in Innovation and smart city technological platforms. He was an Associate Professor at University of Maryland College and he is currently faculty of Management Information Systems at PMU Saudi Arabia. Zygiaris is the author of two books that discuss business process re-engineering and how to achieve business transformation using technological advancements.